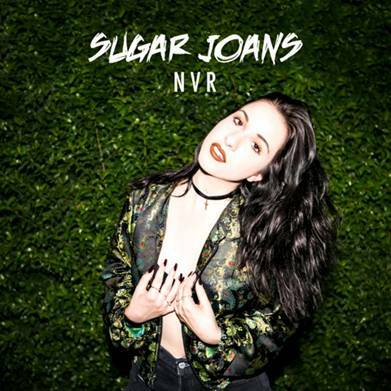 Produced by Chris Hartz (drummer for Passion Pit and Childish Gambino), “NVR” establishes who SUGAR JOANS is as an artist. Those who only know the television version of SUGAR JOANS have witnessed only an edited segment of the story. She is much more audacious than a small screen image can project and resoundingly genuine. “When I’m in that room making that music I’m being as true to myself as I can be. I don’t think I should ever try to edit or censor that. 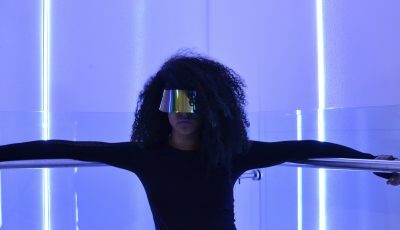 I feel like the music I am making now is a true expression of myself and my artistry; something that feels very real.” Connecting soul to substance, SUGAR JOANS’ signature sound radiates with style, swagger and authenticity. Pulsating beats and spectral electronic flourishes frame the compelling voice of alternative R&B artist SUGAR JOANS. Connecting soul to substance, her signature sound radiates with style, swagger and authenticity. Vocalizing on commercials, SUGAR earned her SAG card at age 11. 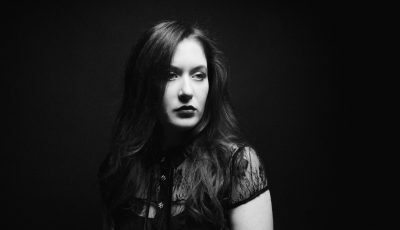 After graduating from the arts-intensive Oakwood School she enrolled as a vocal major at Boston’s Berklee College of Music where she graduated with academic honors. Writing poetry, journaling, creating lyrics; Sugar — whose mom was a copywriter — has always created with words. She co-writes songs with close friends and collaborators, a creative circle that includes Joelle James, who has worked with Chris Brown and written for Tamar Braxton and others. When she competed on Season 7 of the hit NBC series The Voice, an immense national audience received their weekly dose of SUGAR JOANS. “The experience was phenomenal,” she says. “People have no idea how hard it is, physically and emotionally.” Coach Pharrell Williams’ generous on-screen praise of her talents was shared with millions of viewers. “He is one of the most incredible people; grateful, intelligent, and I feel so very lucky to be able to call him a mentor,” she says. Thanks for your time today! What else do you have on tap today besides this interview? Today I’m going actually going to Disneyland with one of my childhood best-friends. We’re both musicians and workaholics who never make time for ourselves so we decided to just take the day and do something ridiculous! So, how did you come up with your artist name? Growing up, did you always want to be an artist? Was your family always supportive of you? I honestly can’t think of a time in my life where I didn’t know I wanted to be a musician or an artist. And luckily having my dad be a musician has meant that my family has been extremely supportive my whole life. What was it like being on The Voice? Was was the biggest lesson you learned from on it? What about specifically from your coach, Pharrell Williams? The Voice was an incredible experience overall. It was amazing and exhilarating and exhausting and difficult all at once. People don’t realize how much hard work the contestants put in. The farther you advance the harder it gets. I think biggest lesson I learned was to be unapologetically myself no matter what. Pharrell was the first person who truly believed in my artistry and for that I’ll be forever grateful. Do you watch The Voice now? Would you do it all over again if you could? I watch when I can but not religiously. And yes, I would never trade that experience for anything in the entire world! You just released your debut single, “NVR”. Where did the inspiration for that song come from? The inspiration for NVR came from that feeling of always wondering “what if” about a certain relationship. The thought that if you hadn’t walked away or ended things, what could have been ? And just simply that deep desperate feeling of missing someone. What was it like working with producer, Chris Hartz on “NVR”? I’ve known Chris since I was 12 years old and as a result I’m so comfortable creatively with him. It just feels effortless. Not to mention the fact that he is brilliantly talented. What artists have consistently inspired you and your music? Who would you love to work with in the future? I grew up listening to an eclectic mix of stuff. From Aretha Franklin and Prince to the Beatles and Joni Mitchell. I would die to work with Andre 3000, Miguel, and Mark Ronson . When do you hope to released a full-length album? I’m working on an EP for a release next year. As for a full length , we shall see! I honestly just hope it makes people feel something and that they can relate to it. If I can do that with my music, I’ll be happy.